Special arrangements of music for single page display. 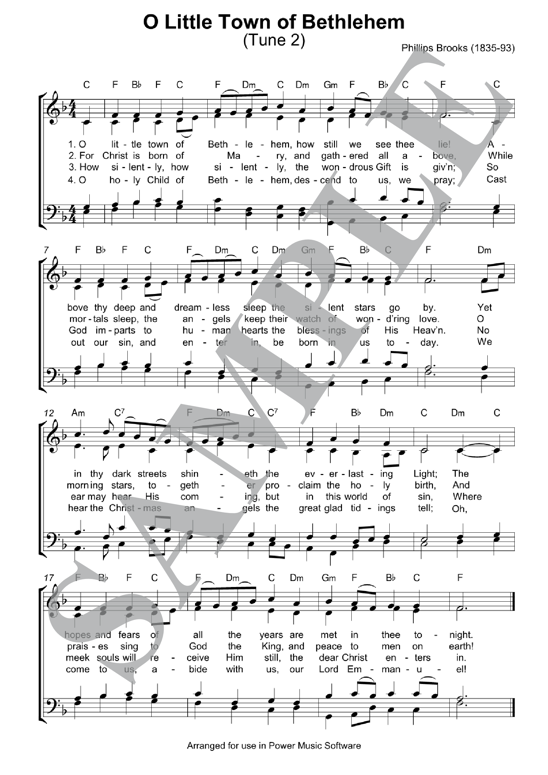 Constantly going backward and forward to see the next page makes playing this using an iPad a pain, and the fact that the words for verses 2, 3 and 4 are only on the second page is a huge problem for a worship leader. Of course in Power Music on iPad or a Windows tablet you can rotate the device and display in landscape mode. This will display 2 pages per screen, however the size of the music and text on a 9.7 inch iPad screen, when displaying 2 pages, might challenge even those with 20:20 vision. We believe the future is screen-based music. Music should be arranged with its use on iPads and tablets in mind not just a PDF of existing paper music. 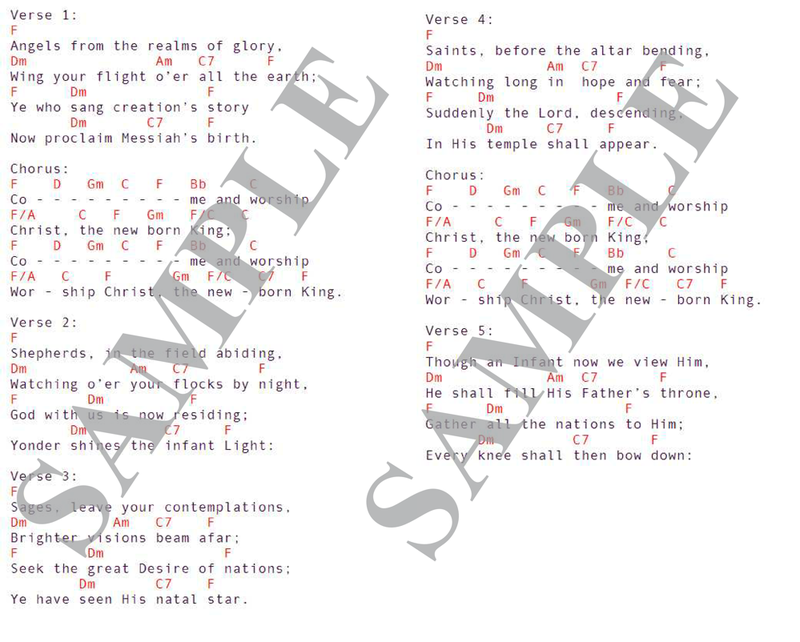 So our latest book of Christmas Carols, which we at Power Music Software have arranged, does exactly this! 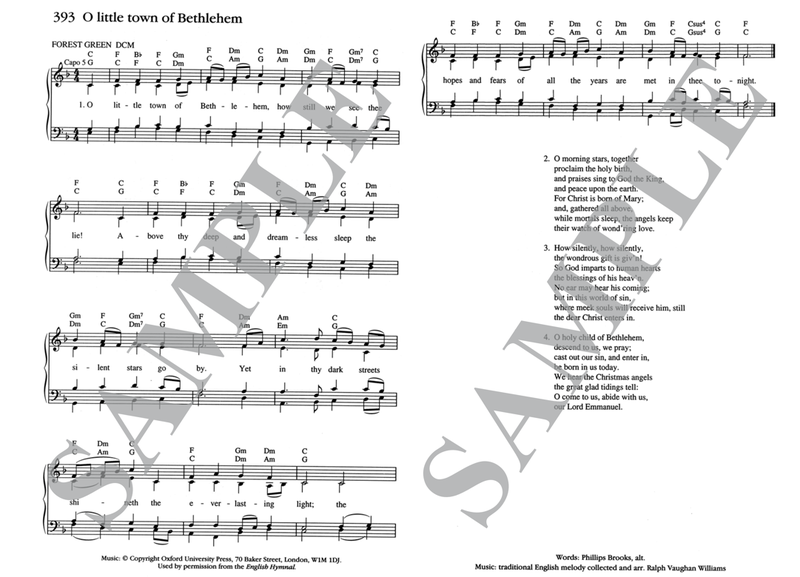 Here’s an example of the same carol – so which version would you rather play?